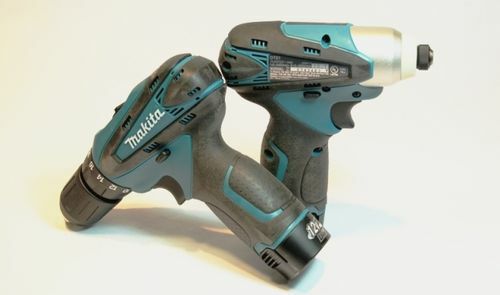 Makita recently introduced its 12 volt, LCT 209 12volt Combo Kit that includes the 3/8” Drill (model #FD02), the ¼” Impact Driver (model #DT01) and the battery charger (model #DC10WB) and what a combination it is. A versatile, light weight, well balanced combination that has plenty of power to tackle most applications. Below you’ll find a short video of the combo kit in action. Driving a 2 ½” long # 8 deck screw into a piece of 2” x 3 ½” Beech without a pilot hole. First the impact driver drives this 2 1/2” screw and then the drill drives the same size screw into this slab of Beech. After that, I chucked a (somewhat dull) 3/8” brad point drill bit into the drill and bore a hole through the Beech, all with no effort. Gord——-I appreciate your review and the time you spent preparing it and laying it out with complete specs. Video clip really helps as well. Did you do any shopping between the comparable Milwuakee kit? Thanks! This review was a simple straight forward, stand alone review of what this combo kit was all about. I chose not to compare it to the many others that are out there in the marketplace today. When I say that I’d been working with this combo kit for months, I should have said that I beat it up for the last several months…..................this kit took the abuse I gave it and came back for more. Great package on a small platform. I have owned a number of cordless drills/drivers over the years and this small combo kit just fits right into my hands and does everything I’ve asked it to do and more. Once again I say, a great package on a small platform. I’ve been more than pleased with every Makita tool I’ve purchased, corded and cordless. 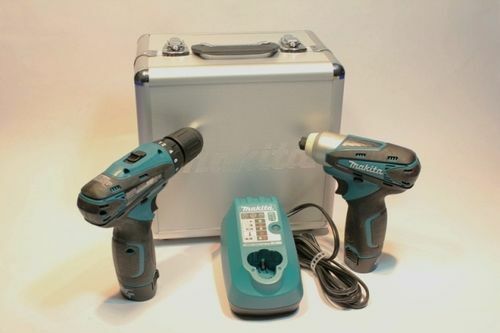 I have a 4 piece Makita cordless kit and like them very much. Good tools! 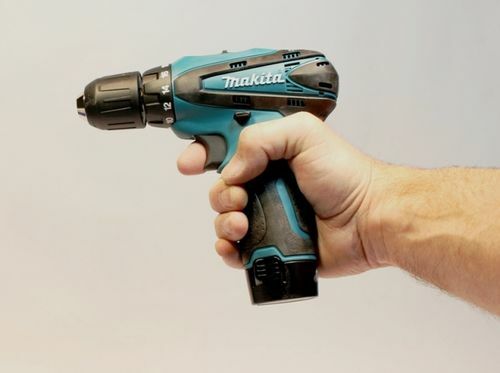 Pretty much the same thing as the Makita LCT203W 10.8-Volt kit. They both appear to use the SAME 3 cell, 1.3ah battery. The LCT203W is rated at 10.8 volts, 3.6 votls per cell, while the LCT 209 that you are reviewing is rated at 4 volts. Which would be a ‘max/peak’ voltage. I really think that other then the color and the chuck on the drill that these are the same drivers. All the stats are the same…. RPM, Torque, Impacts per minute and the amper/hours are all the same. Not to take anything away from this set of drivers. I have the 10.8’s and use them everyday. I should also add that Bosch’s 12 volt is the exact same thing as there 10.8 volt drill. Only difference is the sticker!